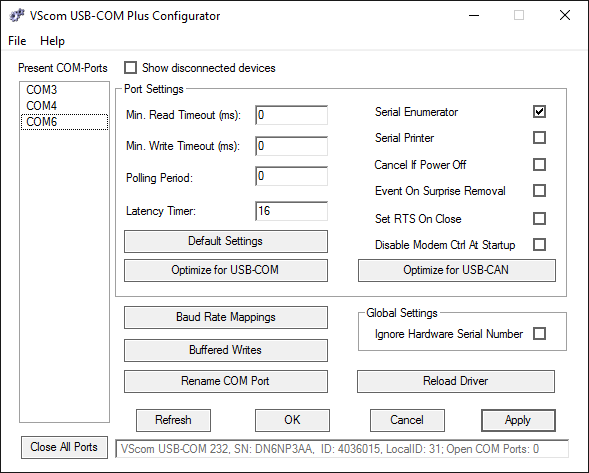 USB-COM Plus mPCIe provides easy serial port expansion for any system with a full-length Mini PCI Express slot connecting to high speed RS232 or RS422/485 devices. 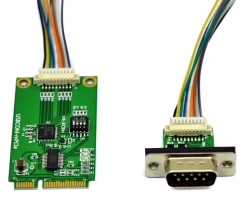 The Mini PCIe card uses USB 2.0 signals as provided on the slot. It is fully ESD and surge protected and bus powered withstanding a wide temperature range to cope with harsh operating conditions. The serial port allow different operating modes - easy configured via the front DIP switch - to fully support RS232, RS422 and RS485 protocols. Differential line termination for RS485 (120Ω) is controlled just by choosing the appropriate operating mode. High/Low biasing resistors are not needed, so hassle-free usage is available for the user. USB 2.0 full speed connection allows serial data rates of up to 3Mbps for RS422/485 and 921.6kbps for RS232 mode. Every non-standard bitrate (e.g. 500kbps) can be easy set up in the range up to 960 kbps. Mini PCI Express slots are present in various Industrial Computers, modern SBCs, Laptops and more. 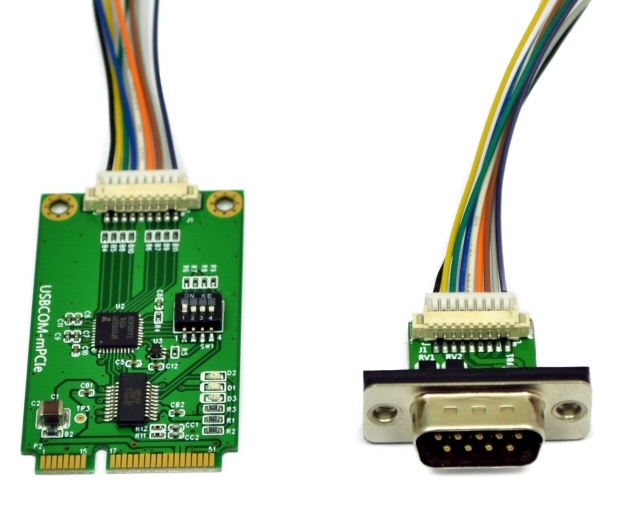 If there is space for the DSub-9 connector and cabling, this product is applicable as serial port expansion.